The effect of polyvinylpyrrolidone (PVP) coating on the optical emission of ZnO was investigated. ZnO microrods were synthesized using the hydrothermal method and were coated with different amounts of PVP. The photoluminescence spectra of the ZnO microrods exhibit ultraviolet and visible emissions. The visible emission consists of yellow and red emission bands which are ascribed to oxygen and zinc interstitials, respectively. With increasing PVP concentration, the yellow emission of ZnO shifts to shorter wavelengths, i.e. in the green region. The green emission is attributed to oxygen vacancies. The defect emission decreases in intensity with increasing PVP concentration. The adsorption of PVP on the ZnO surface passivates the crystal defects and the governing interactions are discussed in this paper. V. Agulto, M. J. Empizo, K. Kawano, Y. Minami, N. Sarukura, and R. Sarmago. 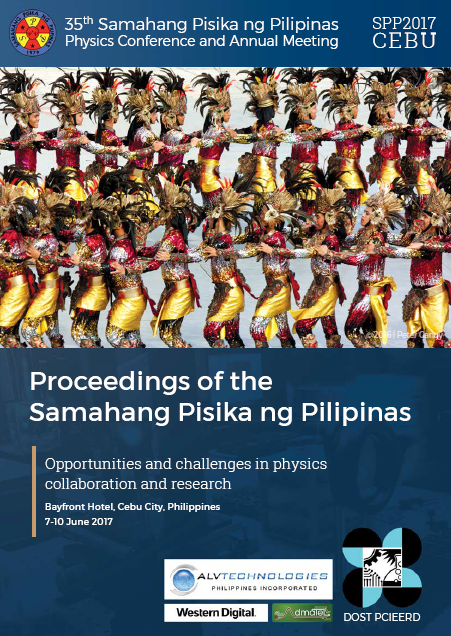 Photoluminescence properties of PVP-coated zinc oxide microrods, Proceedings of the Samahang Pisika ng Pilipinas 35, SPP-2017-1E-07 (2017). URL: https://paperview.spp-online.org/proceedings/article/view/139.